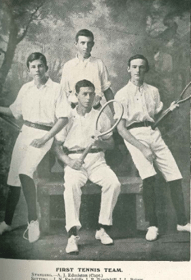 The nine schools have competed in an annual Tennis Premiership since 1918. [They are at the college but across the road which is at 400 Gregory Terrace and the park is Victoria Park [near the intersection of Gregory Terrace and Rogers Street but below eye and street level – over the hill and just down from car park of the Centenary Swimming Pool]. George Alder Tennis Centre, 9 Ernest St, One Mile Ipswich QLD 4305 (Clay Courts). One of Brisbane Grammar School’s best tennis players was J.N. (Jack) Radcliffe, who was school champion in 1908, 1910 and 1911. Jack excelled in cricket, tennis and rowing early in his life, and later, in golf. He represented Oxford University at tennis in 1920 and 1921, and was the Queensland singles champion in 1921. One of the finest golfers the state has known, he had the distinction of winning the Queensland Open Championship as an amateur in 1933, being the state’s first amateur to do so. Jack was awarded a Military Cross in World War 1. He was selected as a Queensland Rhodes Scholar in 1915 and later became Principal of The Southport School. We remember Jack’s contribution to the GPS sport of Tennis. 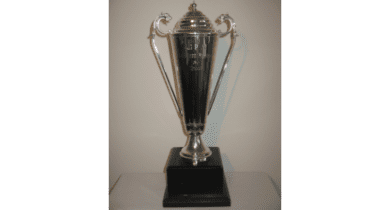 The Premiership trophy for the GPS Tennis season is awarded to the First IV competition only, where the school with the highest number of competition points at the end of nine rounds determines the Champion School. View the rich history of GPS Tennis 1st IV Premiers in The Trophy Room.